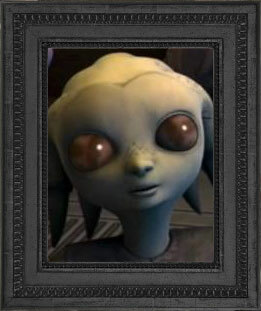 JEDI HoloNet » HoloNews » Unexplained delay on Roytha as another child is reported missing. 383.12 // Unexplained delay on Roytha as another child is reported missing. A sight that we should never become desensitised to. Two parents behind a long table, surrounded by local security forces, flashing bulbs of holocameras whilst cradling a picture of their now missing child. Today Rigou and Verioti Gring told of the hollow feeling they have felt since their son was taken from them, before pleading with whoever took their son to return him home to them. Not much is known as to the circumstances around their son Cohah, but it was several days before they realised he was taken. It was noted that there was a Jedi Knight present on Roytha at the briefing vetting questions from the press. Allowing no questions on why there was such a significant delay before Cohah was reported missing. The Jedi Knight, from Ossus also refused to comment on behalf of the Order. The Core, the Inner Rim and now the Expansion Region have all been affected in the last cycle with cases of missing children. What do they have in common? Rumors are circling that all were force sensitive, however no public information has been released confirming this. What is most certain is all have fallen foul of the most unforgivable crime. This entry was posted on 383.12 at 02:35 and is filed under Galactic.